This beautiful country covers only 12,000 square miles, which is slightly smaller than the state of Maine. For now, as we hope to return, we only visited this incredible country for three days. During our short time here, we were captivated by the beautiful countryside. Each town had a city square ringed with restaurants, shops, and at least one church. Paved bike paths ran along each side of the larger streets, and specific bike lanes gave bikes the right of way on the smaller roads. 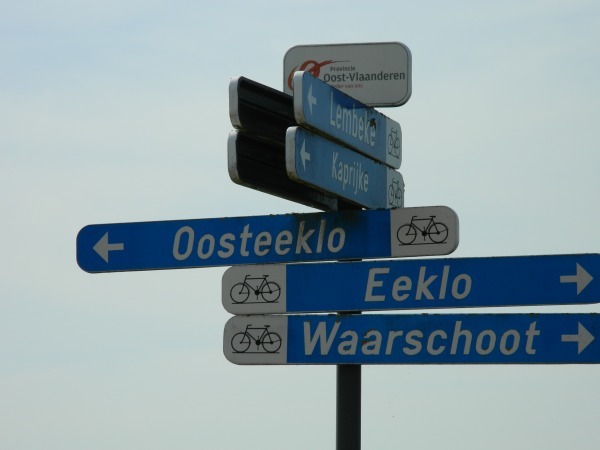 These bike paths were not only located on almost every road in the city, but also stretched from town to town, sometimes right through the middle of a farmer’s field! 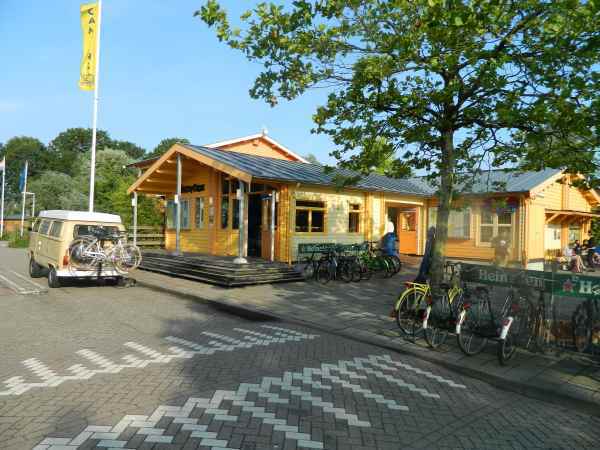 Beautiful countryside, boat rides on the canal, chocolate, windmills and biking. We are looking to return soon. Once in continental Europe I was relieved to be able to drive on the right side of the road, then I soon realized I was unable to read the traffic signs. Oh well. Directly behind our campsite we could see this structure through the trees. 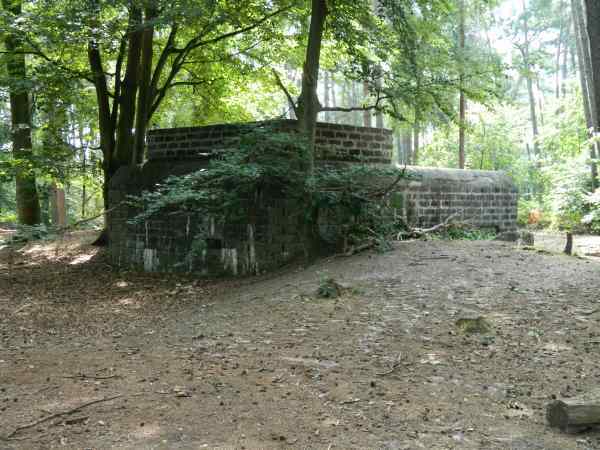 After further investigation we found it to be a old World War I bunker. There is history everywhere. 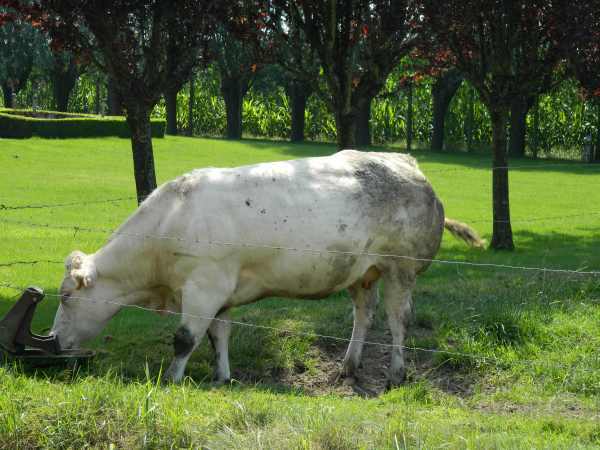 Belgium Blue cattle in Belgium, go figure. Upon entering the Netherlands we were quick to notice beautiful old windmills scattered across the countryside. 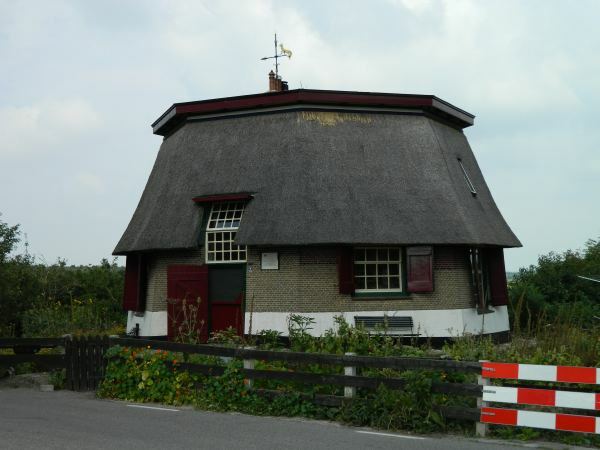 Theses windmills were were used (some still are) to meet the mechanical and farming needs of the Dutch. Some were grain mills, others lumber mills, but the majority were erected for the purpose of pumping water. The Netherlands is a country built upon coastal peat bogs and much of the country is below sea level. 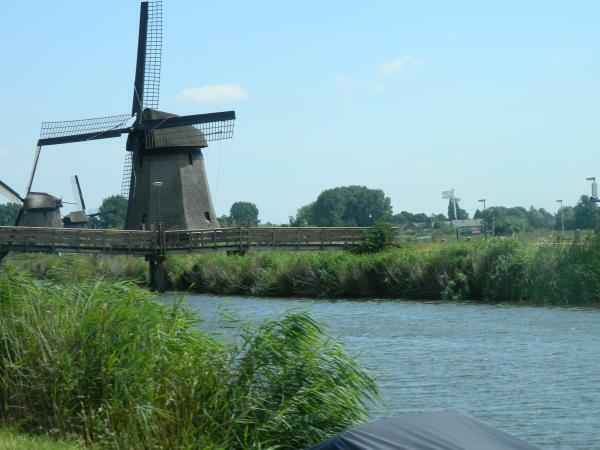 Throughout history, land was reclaimed by building a series of dikes surrounding a parcel of land then removing the water using windmills as a power source for pumps. The windmills would remain in place to remove rain water or seepage as needed. Today, more modern power sources are used, yet windmills remain as a beautiful part of history. Windmills operating in the Netherlands countryside. Old windmill that has been turned into a home. 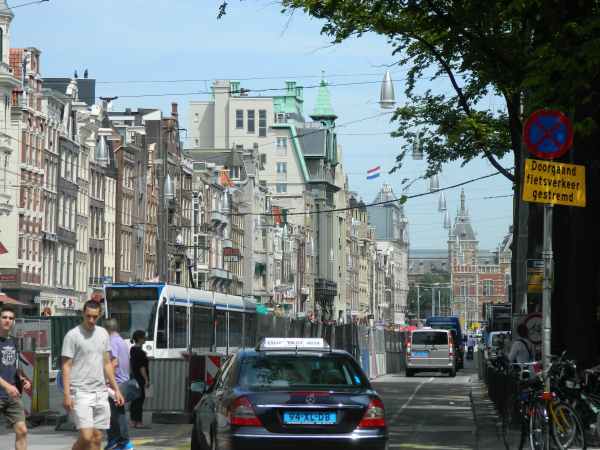 Traveling from the beautiful agricultural countryside to historic Amsterdam in one day, was was a shock to our systems. There were some similarities such as miles of bike lanes, but the number of people and the tempo of the city overtook and enthralled us. We checked in to the Zeeburg campground We luckily were granted their very last spot. We joined other campers among a sea of tents. The site was quite nice, almost like a small city itself. The staff was wonderfully helpful and went out of their way to make our stay special. Our first day we rode our bikes into town learning the rules of the road on the way. Our trek was relaxing and helped us arrive at our destination much more quickly than a bus or even a taxi and with zero pollution Our ride home that first night was not as quick, but that’s another story. Amsterdam is a great bike town. It was amazing to see 100’s of bikes parked along side the road. There are definitely more bikes than cars. We parked our bikes, locked them securely, and started by taking a walking tour of this large city. The architecture is incredible. Steve noticed that many buildings lean forward toward the street with a hook high up near the roof. We found out that this was for hoisting cargo upstairs without banging it against the house. We made our way from the historic area southwest to the Anne Frank House, Rembrandt’s house and the tree lined canals across from gabled mansions, and then west to an area with small boutiques and finally to the Jordaan area where we enjoyed a quiet stroll along the cobbled streets and flower topped canals. The busy city streets of Amsterdam. Amsterdam camp site where we got a spot just because we walked in right after another person canceled. Camp site taken from across the river. 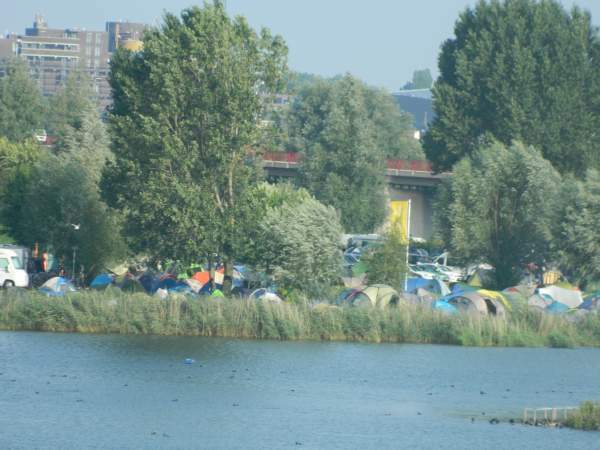 They say they hold 500 tents not counting motorhome and trailer sites. I believe it! 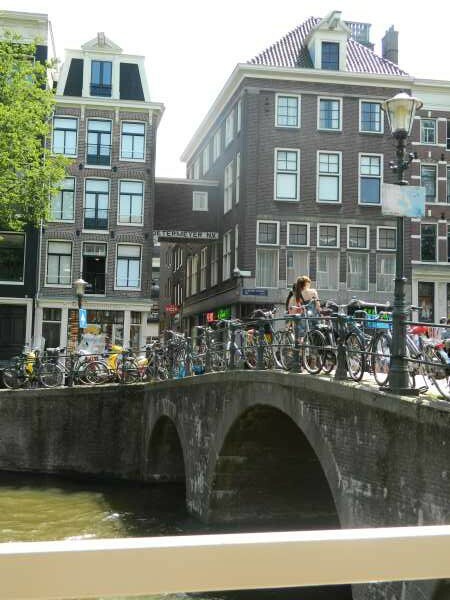 One of man bridges in this city of water ways and bicycles. Anne Frank House – this was one of the most emotional stops on our trip this far. It is almost too consuming and overwhelming to write about. Seeing her actual hiding place impacted me much more than reading her diary. I learned that Anne was born in Germany in 1929. 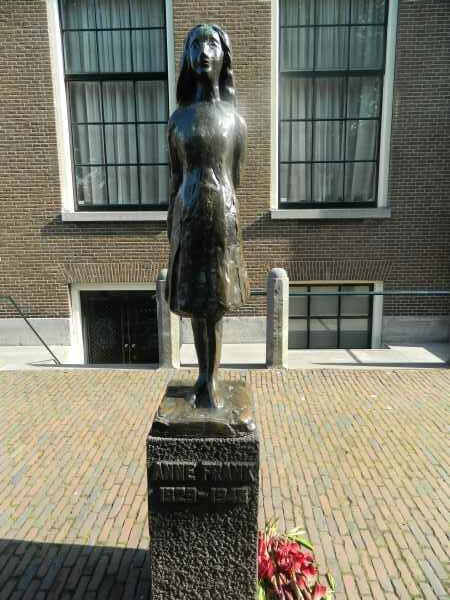 In 1933 the family moved to Amsterdam where her father started a business. Nine years later when Anne is 13 years old her family went into hiding in the back part (the annexe) of the company. As a reader, I waited to see the the original bookcase that concealed the secret passageway and the rickety stairway. It is narrow and difficult. We learned that eight people ended up living within the secret annex for two years without going outside, ever! It is almost surreal to stand in the rooms were Anne stood, and where she wrote in her diary. We witnessed where she sat during the work day as she had to sit still and not make a sound, so the workmen would not discover them. We see marks on the wall that are the growth lines where Anne’s parents made pencil marks to measure her and her sister’s growth. We see a Star of David Patch. We visit her room and see the remains of her collection of pictures of movie stars,of art she found beautiful and perhaps, inspiring. We learn that after hiding for two years, the German Secret Police find and deport all eight people to Nazi concentration camps. Only Anne’s father survives. 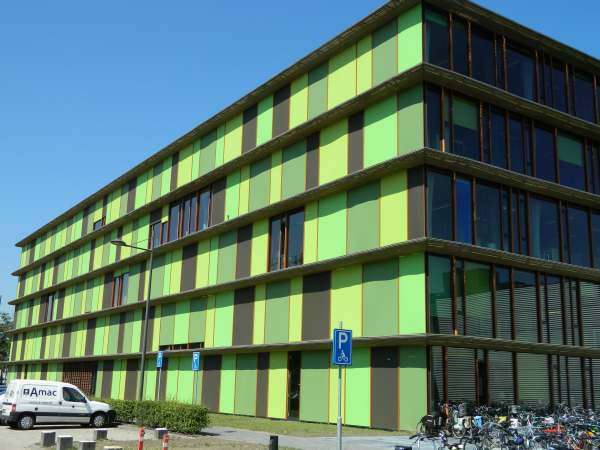 During our journey across the Netherlands, Jeanette and I made it a point to stop and visit Wageningen University, the country’s top agriculture college where the motto is “to explore the potential of nature to improve the quality of life”. 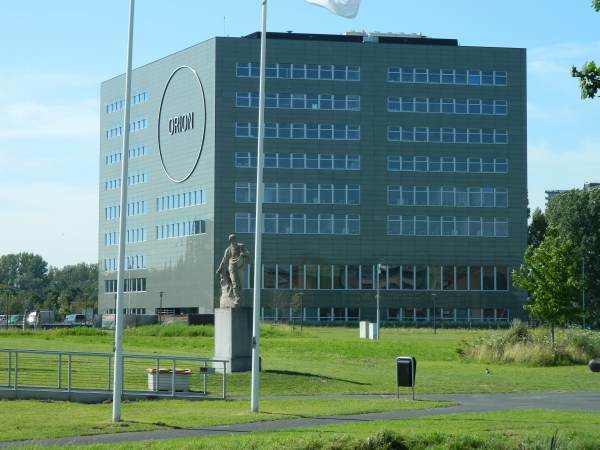 Upon entering the campus we noticed the new modern facilities with large impressive architecture. The names and designs of each building focus on the cycles of life. 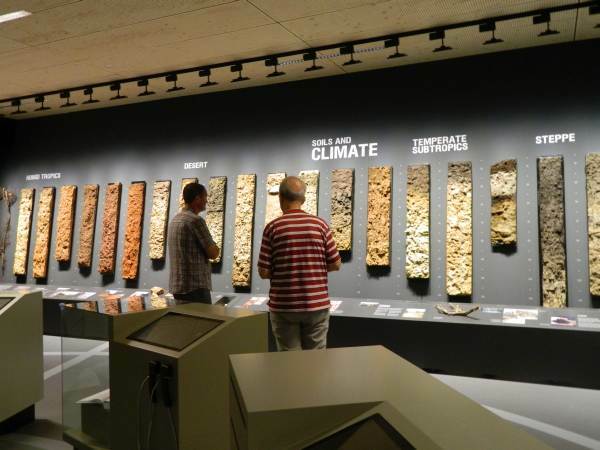 We began our tour in the Gaia building, with a wonderful tour of the World Soil Museum. Here 1000 soil samples have been collected from over 80 countries. Scientists look at how humans have influenced the soil. It also boasts up-to-date digital soil maps from all over the world. These are for educational purposes and as references for scientists. “No life without soil” is the message of this World Soil Museum. We continued our tour of this unique agricultural research campus and were in awe of the size and scope of their campus. Extensive animal and crop units focus on the production of food while taking into account environmental concerns. Touring the International Soil Museum. Crop Science building with automatic shades that adjust with window temperature. Hey Mr and Mrs Amador. Its me David. I found this parody of a song. The parody is called Word Crimes. It’s a song teaching you to write in the proper way. It is by the legendary Weird Al Yancovic. Hope you listen to it. I’ve been following all of your blog posts. Hey Lady, Miss you. Tell everyone hello and that I send my love!